Last week we saw the alleged successor of the Samsung Galaxy A5 passing through Bluetooth SIG certification. This time the smartphone has reportedly shown up at GFX Bench benchmarks revealing the specifications. The previous Bluetooth SIG listing failed to reveal the details of the smartphone. 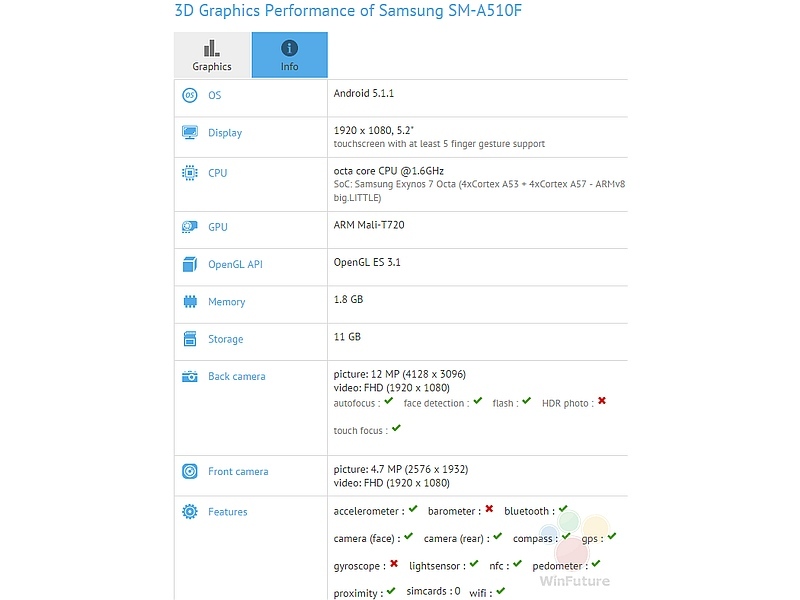 As per the GFX Bench listing by WinFuture (via GSMArena), the smartphone with model number SM-A510F that’s thought to be Galaxy A5 successor runs on Android 5.1.1 Lollipop and features a 5.2-inch full-HD display. 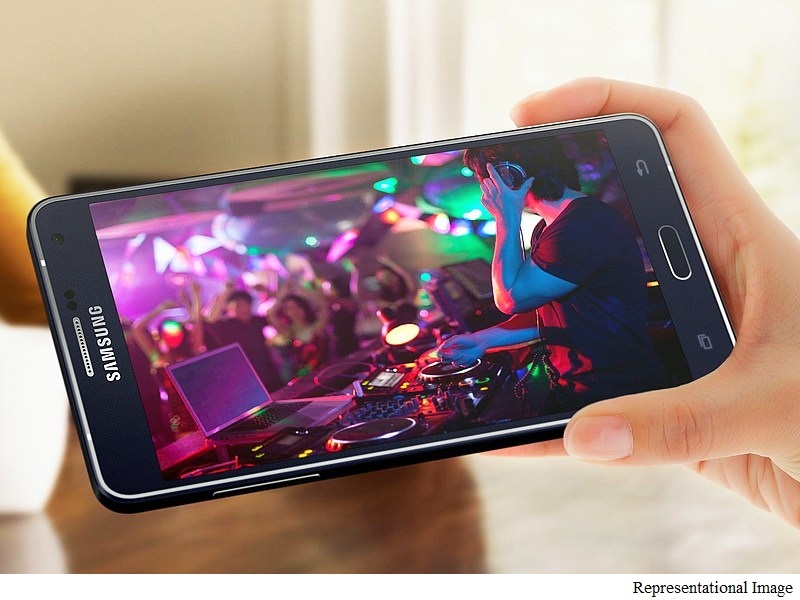 It is powered by an octa-core Samsung Exynos 7 processor clocked at 1.6GHz, clubbed with ARM Mali-T720 and 2GB RAM. The Galaxy A5 successor is also seen to feature 16GB of inbuilt storage, which would leave 11GB for users, and house a 12-megapixel rear camera with LED flash and a 4.7-megapixel front-facing camera. Both cameras will be able to capture videos in full-HD (1080×1920 pixles) resolution. Sensors and connectivity options comprise an accelerometer, Bluetooth, digital compass, GPS, NFC, ambient light sensor, proximity sensor, and Wi-Fi. Unfortunately, the price tag and the launch dates are not yet known. Meanwhile, Samsung Galaxy J3 (SM-J3109) received its US FCC certification, reports TimesNews UK. While the documents don’t reveal any details about the smartphone, it does confirm the existence of the device and that it has been tested for LTE, 3G and 2G networks. Notably, the handset went through GFX Bench benchmarks earlier this month. As per the listing, the smartphone features a 5-inch HD (720×1280 pixels) resolution. It is powered by a 64-bit quad-core Snapdragon 410 SoC clocked at 1.2GHz, clubbed with Adreno 306 GPU and 1GB of RAM. It houses 8GB of inbuilt storage, 8-megapxiel rear camera, and a 5-megapixel front-facing camera. The pricing or availability details are not yet known.